The 554-30FWT utilizes a trailer hitch and large auto tires to make transportation over the roughest terrain a cinch. 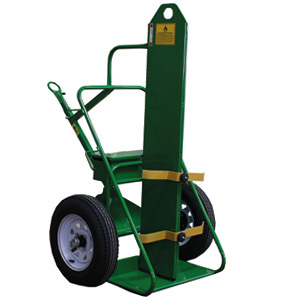 Just specify the hitch for your application and this cart ships ready to be pulled behind any truck or ATV (off-road and 10 mph only) The 554-30T-FW features a lockable toolbox, making it perfect for construction sites where security is a concern. Comes standard with a lifting eye and hose wraps. Also available without a firewall; just ask for the 554-30T.